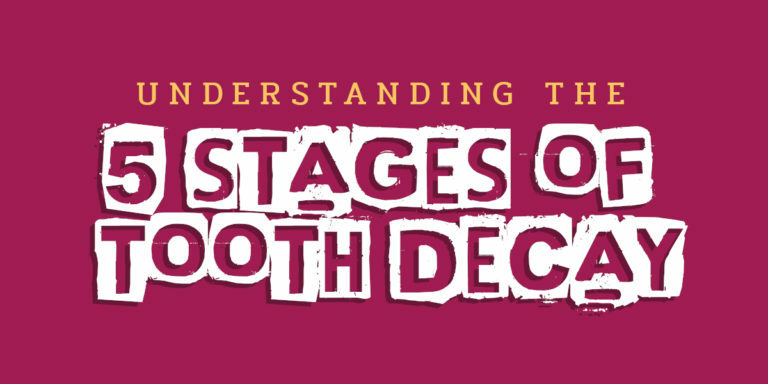 Did you know there are five distinct stages of tooth decay? And that in the first stage of decay, you can actually take steps to reverse the progression of the disease? Indeed, it’s true. In the first stage of decay, whether you’re a child or an adult, the application of fluoride via fluoride treatments, your toothpaste, and your local water supply can stop a cavity from penetrating through the enamel and reaching its second stage. Even the saliva in your mouth and the foods you eat help to remineralize a tooth in jeopardy. But that’s just the first stage! What about the rest? Understanding how a cavity progresses can assist you in preventing each successive stage from occurring in your children. There’s always a lot going on in that little mouth! In stage one, the tooth begins to show signs of strain from the attack of sugars and acids, and white spots will begin to materialize just below the surface of the enamel. These white spots are representative of the demineralization of the tooth and can be easy to miss because they’re likely to occur on your child’s molars. A dental exam, of course, is designed to catch such cavities! Can you see why regular visits to the dentist are recommended? As mentioned previously, at this stage, the cavity can be repaired without the need to excavate the tooth. Who doesn’t want to avoid the drill if they can? If a cavity in your child’s mouth were to progress beyond stage two without you knowing, you’d tend become aware of it because it would probably start to cause some pain. At this level, the cavity begins to eat away at the second level of tooth material that lies beneath the enamel: the dentin. A filling can still be used to stop the onslaught of bacteria assaulting the tooth in order to prevent the cavity from reaching the tooth’s most critical component: the pulp. Once the cavity reaches the pulp, it’s going to hurt. A lot. So if you’ve unfortunately missed all the signs to this point, a screaming child or moaning teenager will certainly let you know there is a big problem. Stage four is serious, and a root canal is the only option of treatment at this stage, save for a complete extraction. Should you have a tooth that has reached this stage, we would work with our endodontist partner, Dr. Patel to help treat bring you back to good health. In the fifth and final stage of a cavity, the infection has reached the tip of the root and exited the tip of the tooth’s structure. This, in turn, infects the surrounding tissues and possibly the bone structure. Swelling would be commonplace and pain severe. In children (as well as adults) an abscess can be fatal if not dealt with immediately. Root canal or extraction would be the order of the day should decay reach this stage. Need to see us? Call us at (425) 774-5596 to make an appointment.